Feel welcome at the brand new ibis in HITEC City. Ideal for business travellers, the hotel is just 10 minutes away from Raheja Mindspace which houses all the major corporations like Bank of America, IBM, Accenture, JPMorgan, Facebook, HSBC and Qualcomm. Located near the Cyber Towers, the hotel is just 15 minutes away from the Hyderabad International Convention Centre and 40 minutes drive from the airport. 10 mins from IKEA Home Furnishing. Progressive and culturally rich, Hyderabad - the City of Pearls, is noted for its natural beauty with a thriving business climate. Visit the Hyderabad's historical landmark, Charminar or the grandeur of Nawabi culture, Golconda Fort Just 30 minutes away from the hotel, the heart shaped Hussain Sagar Lake offers a peaceful getaway which envelops parks, temples, boat club and entertainment venues. What's more, do not forget to try out the famous Hyderabadi Biryani. Discover the best of Hyderabad, India from our ideally-located hotel. Take a trip to the fabled city center attractions like Charminar Monument, Lumbini Park, Golconda Fort, Ramoji Film City, Mecca Masjid and the scenic Hussain Sagar Lake. Your sleep is our priority in our 178 modern, sound proof rooms with big fluffy pillows, super-soft duvet and high-tech mattresses that align with the density points of your body. The new Sweet Bed by ibis is difficult to leave! Vibrant Spice IT serves International fare for lunch and dinner including a tasty buffet breakfast to kick start your mornings in Hyderabad. With interactive cooking our chefs can satiate your taste buds with cuisines from across the globe. Hit the liquid trail at the bar located on lobby level, offers creative cocktails a decent wine list and tasty snacks. Unwind with friends here after a busy day. Location was the big positive but room and especially the bathroom was claustrophobic - tiny! I needed a plate In the room and was told sending a plate to the room is chargeable Rs 100- ridiculous and a first for me anywhere in the world! They took the full payment during check in - again a first time esperiencr! You don’t trust your guests? Don’t forget you have my card details anyways so why the hurry? Good and very clean rooms and bathrooms. World class at an affordable price. Only issue was very few vegetarian options in the menu, one can get bored after a couple of days. But what food was available, it was tasty. Overall loved the stay, the staff were very friendly and helpful. Cleaning was good. 9/10 just only because of limited food menu option. ONE OF MY MOST MEMORABLE HOTEL STAYS EVER. 100% RATING TO STAFF. IBIS IS NOT A PLACE. IT'S A PEOPLE. SOME OF MOST COURTEOUS PEOPLE I HAVE COME ACROSS. Experience was excellent. Services were quite good. Staff's treatment towards their guest was very nice. Thank you for that kind gesture. The stay is good enough with location advantage. Service and overall ambience is good. The food in buffet lacks on variety and taste. Was a great experience right from check in, to the room, to room service, restaurant and the travel desk. Great team of young staff with a professional attitude. The stay was good. Food was pretty good. 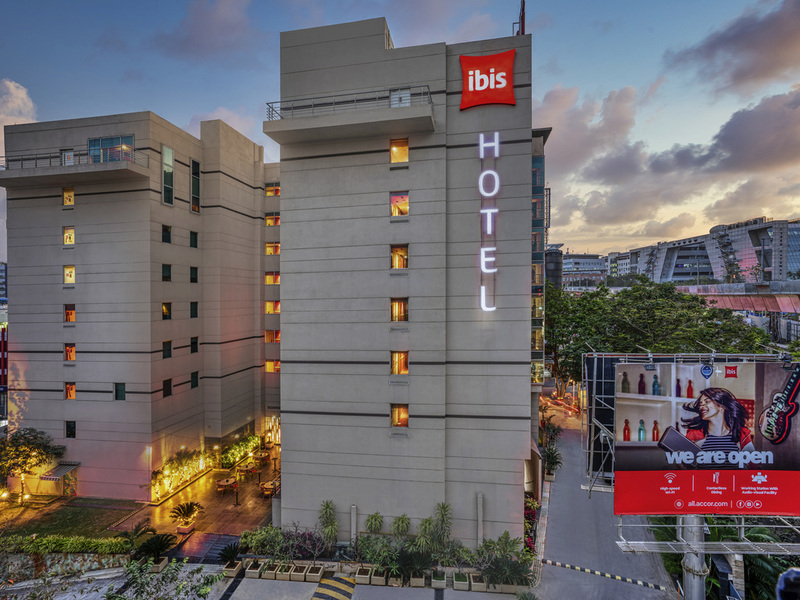 Hotel Ibis is conveniently located in Hitech city.Rooms are clean and comfortable for stay. The experience was nice. I liked the overall ambience and the environment. However, I was unhappy with the room sizes primarily, and the restrictions on using the lift. Even though I checked in late at night, I was very grateful for the kind service. The hotel is clean, secure and very satisfactory. In addition, the breakfast buffet was very delicious. Great food and nice and courteous staff. Although the hotel is showing signs of cost cutting at multiple aspects, I am Happy with stay. Had a great stay ! Quite good and well handled during my short stay. I have been staying in Ibis hotels, especially Hyderabad Hytech city for the last two years. Earlier there were complimentary cookies in the room which are missing for the last six months. The toiletries used to be there, but now we have to ask for it.